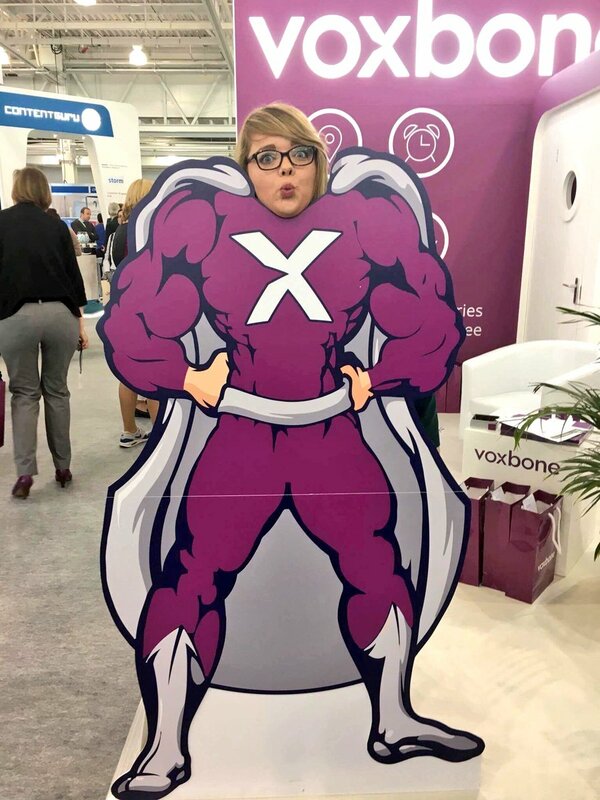 It went by faster than a speeding bullet but it was just last week that we packed up our supply of chocolates, superhero cut-outs and contact center knowledge, and headed off to CCExpo. This trade show was a great opportunity to see what was trending in the sector, meet lots of people from the industry (including many of our customers) and showcase just how we fit in to the contact center equation. We also had a really exciting prize to give away for our social media competition…but more on that later. Our stand was pretty awesome (if we do say so ourselves), set up to highlight our global coverage of 60 countries and 9000 cities. We found that less is definitely more when it comes to booth design. We want our visitors to be able to see what we offer and strike up a conversation with someone from our sales team. And boy, did we get to speak to a lot of people! We’re not sure if it was the promise of some great chocolate that enticed visitors, but many of our team had great conversations with CCexpo-goers. A reoccurring theme for many attendees was the speed at which their businesses were growing. They needed to strike while the iron was hot and accommodate the demand, seizing the opportunity to move into new markets. Many of these visitors were looking to work with a provider that could help them do that. Besides pushing chocolates and cool stamps on all-too-receptive CCExpo attendees, I was also busy showing people how they could easily win a GoProHero by becoming a hero themselves. We had our cutout of Voxbone Man proudly displayed at our booth and all they needed to do was take a picture and tweet at us with some hashtags to be entered into the draw. We had some awesome applicants! Her tweet was particularly eye-catching. Stephanie walked home with her brand new GoProHero 4. I was sad to see it go (apparently the Social Media Manager entering her own competition is ‘against the rules’) but she definitely deserved it. 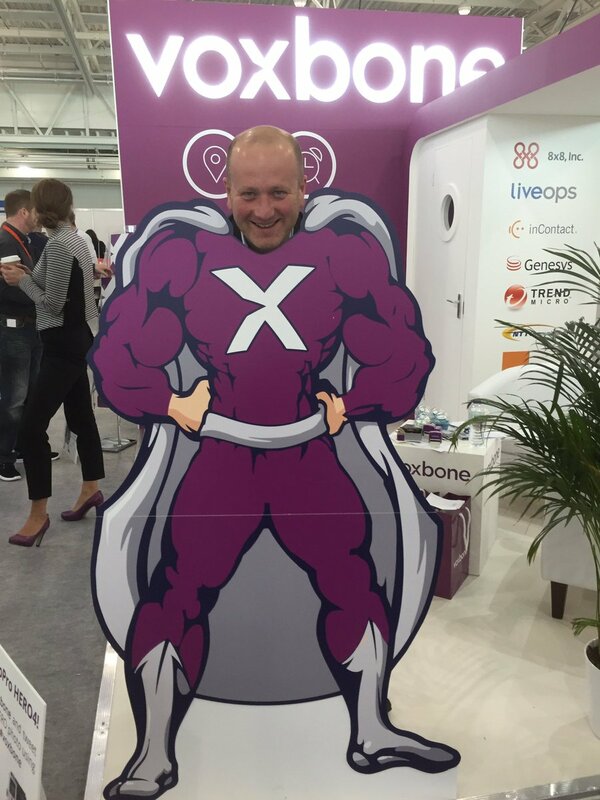 All in all, it was a fantastic 2 days at CCExpo. We were tuckered out by the end but it was great to meet so many people and tell them all about our services. Sometimes the most powerful of superheroes hide in the most unlikely of places. If you didn’t get a chance to enter our competition, you can carry on the hero fun at this website we set up here. Just enter your first and last name and you’ll see your new Superhero name!